Will an American KitchenAid mixer work in Europe? Over the years, a number of people have asked if it was possible to bring a KitchenAid mixer from the United States to Europe, and use it here. 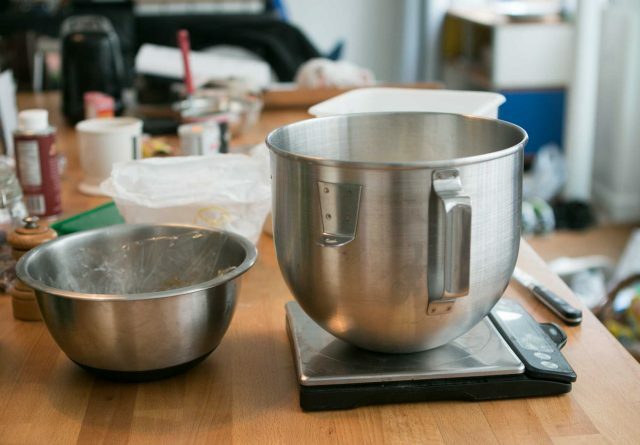 I certainly couldn’t live without my 5-quart mixer, and since they’re less expensive in America than they are abroad (because of the electrical modifications and shipping), many folks, naturally, want to know if they can bring their mixer with them. Several readers kindly chimed in with comments and suggestions noting that theirs worked fine with a voltage transformer. And I have friends who’ve had their kitchens in Europe wired for 110V as well as the standard 220V. But I thought I’d ask the folks at KitchenAid what their policy was and posed a few questions to them, which they kindly responded to. I’ve paraphrased their responses, in italics, for clarity. Q: Will the US-model KitchenAid mixer work in Europe? A: Yes, they will work. But we do not recommend it. U.S. units are 110V, Europe runs on 220V. This will slow down the unit causing it to overheat. Q: Is it possible to use a converter or transformer? A: That is possible as well, and again, we don’t recommend it. Q: If I take my mixer out of the country, is the warranty still valid? A: If you take the unit out of the United States, it does void the warranty. Q: Are there any other hazards to using a US-model KitchenAid abroad? A: Hazards include: overheating, possible property damage, and personal injury. The bottom line is we don’t recommend use of the units outside the U.S…due to the hazards that could arise. Another issue that arises is with the KitchenAid ice cream attachment. European models of KitchenAid mixers have certain EU-mandated safety features so the U.S. model of the ice cream attachment does not fit or work with European mixers, and vice-versa. Please note that I’m not a representative of KitchenAid and if you have further questions about KitchenAid equipment, conversions, and availability in Europe, and elsewhere, you should contact KitchenAid at one of the links below. I’ve recently been weighing up the whole “KitchenAid vs. Kenwood” argument. For those interested, there are some good threads on chow.com comparing the two manufacturers. It seems there’s a lot of people who have experienced problems with the KitchenAid motor. I can see you’re obviously a fan David! TS: I’ve only used a Kenwood once and the bulky tilt-head I found disconcerting. I’m just used to the action and feel of the KitchenAid (I use the up-and-down one, since I can’t get used to the tilt-head) and I suspect a lot of Americans are just used to their KitchenAid mixers as well since folks inquire about lugging theirs across the Atlantic. btw: If folks have problems with their mixers, you can call KitchenAid and ask to speak to someone at the factory, and they can diagnose your mixer motor over the phone! I am so confused as to how the power, once it’s gone through a transformer, is any different? I don’t know too much about it (….or nothing at all even) but seems to me that once it’s at a certain voltage electricity is electricity, nevermind where it came from. I use a converter on my tablet and it’s just fine, but that’s got no motors or anything so maybe that makes a difference. Celia: I’ve seen them here as low as €299 on sale at department stores, so it does pay to shop around. People do inquire why they’re so pricey abroad and I explain that they’re ‘imported’. When I visited the factory, they told me that the KitchenAid mixer is the last countertop appliance that’s still made in America. Elodie: I don’t understand electricity at all, but perhaps someone else has an idea. I did plug my ice cream cone-maker into my transformer and it started smoking, so I quickly unplugged it. But it did still work when I brought it over to a friend’s house (in France) who has 110V for some recipe testing. 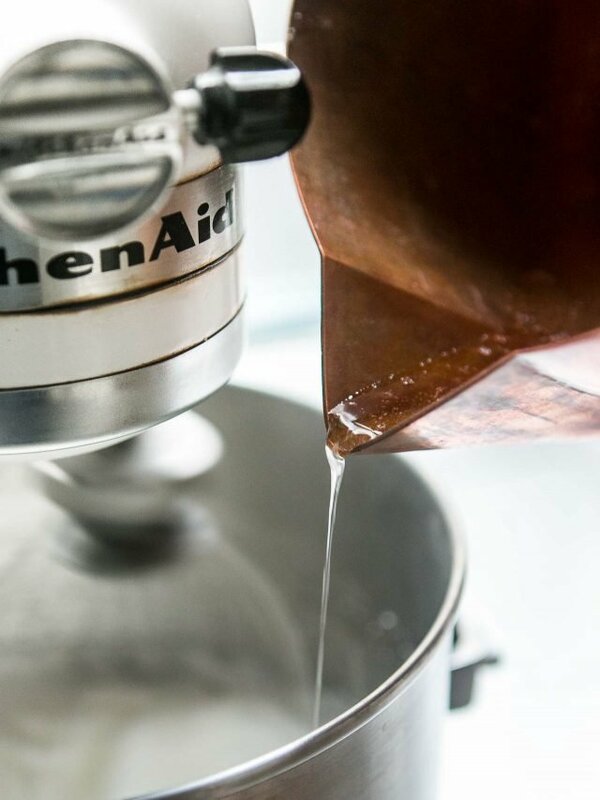 A KitchenAid or other quality stand mixer with dough hook is one of the few appliances I consider a must-have. I sold my 110 and bought a heavy duty 220V KitchenAid mixer in the States and brought it to Morocco with me. Although obviously more expensive than a 110, it was still more than $150 cheaper than if I were to have purchased it in Morocco. For those moving overseas and planning to ship household items via a container, it might make sense to buy some 220V appliances from specialty electronic shops within the U.S. These stores are found in major cities or online. I know expats who use transformers with their kitchen appliances, but frankly transformers are bulky and scare me. With kids around, they seem like an accident waiting to happen. One shows up on my kitchen counter only for the occasional times I pull out my 110v ice cream maker, waffle maker or pizelle maker. My KitchenAid, on the other hand, gets used almost daily. In my case, 220V made more sense. Yes, there is still a difference because the power in Europe runs at 50Hz whereas in the US it is 60Hz, and so even though the voltage is changed the frequency is still different, and motors are engineered to work on specific frequencies so this could well damage them. Digital electronics, however, don’t really mind because their plugs convert AC to DC, which eventually comes out (practically) the same from either 60Hz or 50Hz (but they still need transformers to lower the voltage). Oh, great question. I remember my old boss would buy all of his appliances in the US and then converters in France and they would work but would one by one constantly burn out. Good luck and let us know. Great post. I recently was on vacation in the US and looked everywhere on the Internet for a 220 volt KitchenAid and found it eventually and brought it back with me. I must admit I haven’t used it yet because I’m scared it’ll explode or something – but I just wanted your readers to know that 220 v KitchenAids are available in the US. BIG CAUTION — you MUST MUST MUST plug the transformer directly into a wall outlet — plugged into a power strip or an extension cord, you’re asking for a disaster, because just like water slowing down when it flows through a long hose, electricity slows down too, believe it or not — and you’ll have funky current flowing into your transformer. No biggie when the voltage is the same at beginning and end, but a mess when you have a transformer involved. The transformer was fairly pricey — about US$100 — we bought it from a guy just outside Chicago who has a pretty decent website. We also called him a few times, and he walked us through what we would need. I’ll post it, if David would like the website. KitchenAid voids the warranty because they don’t want to have to take responsibility for some nitwit plugging their 500-watt mixer into a doodah transformer that they bought at Walmart that’s intended for a hair dryer. It’s all economics. We figured the $100 was a good gamble, because I don’t use my KitchenAid every day — if I were in David’s position, where I use it every day or nearly so, you betcha I’d be out buying a new one that runs on 220. We also figured that the downside risk is a new mixer — if we took it and it burned out, it’s a new mixer. If we didn’t bring it, it’s a new mixer. With those odds, the $100 looked like a pretty good risk! The only wasted appliance I’ve had thus far has been a Black and Decker hand mixer I bought almost 25 years ago — I burned it out a couple of months ago — but I frankly don’t know if it was the smaller (80w) transformer I was using at the time, or because after 20-some years of yeoman’s duty in my busy kitchen, it just gave up the ghost. Bought a replacement at Auchan for 12 euros that is more powerful than the poor old B&D ever was! I also have a Cuisinart stick blender that I run from the smaller transformer, too – and haven’t had any issues with it, either, so far. Before buying the Professional 600 I was also in contact with a company in the states that could have sold me the 220 volts bowl lift modell. This one has only 325 watts and the bowl has the same size like the kitchen aid artisan (4.8 l). In several forums they wrote that 325 watts are just not enough for bread dough. So I went for the risk of the 110 volts machine with transformer. I brought my KitchenAid mixer with me to Paris (it’s also an up-and-down one and almost 20 years old), and so far, after nearly 3 years of constant use, it works just fine. I bought an expensive transformer — it’s not in front of me, so I can’t tell you the specs — also, like Sunny, from a reputable source (think that it was http://www.voltage-converter-transformers.com, and if you call them, they’re really helpful and can tell you what transformer you need for which appliances) and I’ve not had a problem. It’s not a pretty thing to have on the kitchen counter — it’s a large metal box about half the size of a shoe box — but it does the job. I also use this for my large and small Cuisinarts. The alarm clock that I brought from the States, however, blew when I plugged it into the wall with a simple converter plug. One thing (fellow) Europeans could consider is a trip to the UK. Given the current value of the £GBP to the €Euro it maybe more economical to buy one in the UK, get a plug adapter (no converter or transformer, just the plug thing), and take it home with you. Holiday and KitchenAid all in one! Again, it does pay to shop around here. A K50 can be found for less than £300. I have a US 6-quart (professional 600, nicknamed the beast) KitichenAid here in Norway and have had it for years. It was actually cheaper then buying a 220v one, but as a sidenote I did buy an industrial grade transformer that completely cleans and resteps the power for the KitchenAid motor. My transformer was actually designed for power tools and for motorized 110v items, so I’ve had zero problems with it. On the other hand, I still have family in the US so I get any large accessories shipped to them and then they ship to me, which is how I got the mixer here in the first place. Of all things, when I bought mine, the KitchenAid sales rep was actually very helpful with what I wanted to do with it within his powers, but this was a few years ago. The big bit of advice I can give is to look for a transformer that is spec’d for the type of motor the mixers have. A 575 watt motor has a fairly beefy powerpull. Despite what KitchenAid (who seems to want to sell Europeans small artisian mixers for silly silly prices) says, it really does work, and has worked for me for years with regular use, but again I have an industrial grade transformer meant for things with motors for my beast. Totally off subject….I’m making your ginger ice cream from Perfect Scoop as I write this (ginger is steeping). I’ve been making ginger ice cream with a recipe from a China Moon Cookbook and she doesn’t blanch the ginger….can you tell me the purpose of that step? Just curious. There’s a company based in Chicago called Overseas Electronics that has probably all the transformers you’d need and seems to make themselves accessible to give advice. I have no idea what your options are in Europe as far as mixers go, but if I already had a Kitchen Aid or any other appliances I loved (anyone crazy/rich enough to have a Robot Coupe or counter-top Hobart? ), I’d definitely want to be able to use it overseas. Then again, the sheer cost of those appliances would probably make me think thrice. i lived in germany for 6 years and brought all my us appliances and 2 big heavy transformers the beefy kind and never had and issues… with phones, cuisinart, kitchenaid,…. and everything worked and survived. i couldnt have lived without. I’m not sure I’d buy this “more expensive because they’ve had to rework the power circuit” stuff. Even in Canada (which has 110V, 60Hz, exactly like the US), KitchenAid stand mixers cost twice as much compared to the US. I can either get one of their lower-end Artisan mixers in Canada, or go to the US and get their top of the line Pro 600 for about the same price. Seems there’s something magical about cross the borders of the US that makes the prices of KitchenAid stand mixers go up… by a lot! The thing I have felt too cheeky to call up Kitchenaid to ask is whether, other than the ice cream bowl, the other attachments are interchangeable. I used to live in SF and have been thinking of picking up other attachments when next back for a visit. I was recently group gifted a K5 for my 30th in London. I thought I’d have to get married to get one – no reason to now! Plus, the importer to the UK was going bankrupt last time I spoke to the company who supplied mine. I’ve been trying to get the paddle attachment replaced, as it arrived with the enamel chipped. We bought our transformers from http://www.220-electronics.com. Nice guy, and good service. Sunny: It’s fine for readers to post links to helpful places and sites. When commercial enterprises post gratuitous links, that don’t add to the discussion, those get deleted. I think I’d just buy the KA mixer in Europe designed to work with the current there. Well, unless shipping my stuff was being paid for by the company I work for. The KA weighs a ton..and it’s big and bulky, so I imagine it adds a lot to the cost of shipping by it’s weight and dimensions, not to mention the duty charges. So why not buy it there since you pay for the importation of it either way? I’m sure there would be no problem selling it there either, if you were to return to live in the states. David..we must have posted at the same time…on the same wavelength..said almost the same thing! Great minds..or Yikes? Is there any advantage or functional difference between the converter/transformers and the converter/regulator/stabilizers? Susan, when you’re shipping a whole household, an extra 20 pounds doesn’t make a difference — you pay for the container, and the per-pound charge is usually pretty cheap. When we moved, the $ was absolutely worthless, so shipping things over was actually cheaper than buying it here. Household goods also are exempt from taxes and duties. Extremely expensive but SO worth it; it has become the most important piece of equipment in the kitchen!! I was told the same thing when I moved to New Zealand so I didn’t even bring it over. Basic models are $600US here so they can sit on the retailer’s shelf and collect dust for all I care. Kenwood mixers are much cheaper but I haven’t taken the plunge yet. I’ve just been doing everything with a hand mixer or by hand. An yes, life is just fine without a stand mixer! Hi David – I sold all my US appliances before moving to Zurich. I bought a 220V Kitchen Aid but I didn’t know what to get to replace my Cuisinart food processor. Any recommendations for Euro food processors? I hate the Kenwood Multipro I have now – it processes so poorly, nothing ever gets smooth, bread crumbs are always in big chunks, pie dough is impossible. I’m curious what you are using. How disappointing, David. A blog with product placement. Didn’t you just visit the nice folk at KitchenAid – I read that entry uneasily. Now I know – commercial as blog. Dear Bob- This is not a product placement. KitchenAid didn’t pay me or give me anything to write this post. I don’t do that. Like quite a few of my blog posts (such as those which give advice about Paris hotels or ones which answer frequently asked ice cream-making questions…) this one was prompted in response to a number of questions I’ve gotten from readers and I thought, since I had a connection with a customer service representative, I would inquire on behalf of them about this. Obviously, due to the number of comments, it’s a topic that is of interest to them. And I’m happy that people are sharing information which might to useful to others. (Incidentally, callers with technical questions can ask to be transferred to a representative in the factory as well. It’s not a special service, but is available to all. I have a US kitchen aid mixer and have used it in Australia with a transformer, expensive one but its worth it. She operates a little slower than it does here in the states, but she’s still working fine after 2 years. I have a question about the attachments though… does anyone know if the attachments sold in Australia, especially the icecream maker, will fit the US models?? I live in Israel and brought my KitchenAid with me from the States over 10 years ago. I use it ALL the time ( I bake a LOT) with a transformer. I bought a large capacity transformer and it works just fine. I’ve had no trouble and it serves me faithfully! Kenwood is very big here and some pastry chefs swear by the Kenwood and some by the KitchenAid. I have no complaints at all about my trusty KitchenAid although now that I am quite heavy into baking and breadmaking, the 4.5 quart bowl is a bit small for me. There are bargains to be found in Europe. My sister and her husband live in Torino, Italy and he made her KitchenAid wish come true–found a couple selling off their wedding gifts. Cost him only 200 euro for a brand spanking new one. Hey Daviiiiiid – Just my experience….. I’ve got a U.S. KitchenAid and one from Switzerland – the U.S. model has been running fine all these years – 10 – on a transformer – go figure! I bought my KitchenAid Classic in New York in 1987, that far-away era, where there was little variety. We moved to Europe in 1998. I thought about replacing it, but the European models are both limited and *@! expensive (Artisan for the price of professional). It still works very well, thank you, on a heavy-duty transformer, the type that runs my parents’ 20-year old fridge and washing machine.To date, I haven’t had any problems; however, I’m very careful about overheating when kneading dough. But I was equally careful in NY. For people who are planning long-term moves and want to purchase American brands for use in Europe, most large cities have “overseas appliance stores”. If you’re moving an entire household it’s worth it. Otherwise, beware customs and make sure your receipts are in order. I will chime in from South America. Kitchen Aid Artisan Mixers here run over US$800. I brought a professional 5-quart with a big motor back from the US in July and bought a 750-watt transformer for both this and the Francis Francis espresso machine. Now, the transformer is bulky (brick weighing 5 kilos, good for self defense if necessary) but it is soooo worth it. I cannot imagine making meringue again without this. My only caveat…I did not think to plug in the mixer and test it out as it was new when I bought it. I just “trusted”. Well, I got back to Chile and excited to use it, starting making cookies and quickly realized the beater was not aligned and “banged” the bowl incessantly getting stuck. Ayy! I went through everything with KA who finally told me to “mail it back”, not an option. So I did the local thing and had a maestro, jack of all trades, come and file down the flat beater attachment a couple millimeters. Bingo. Lesson learned: if you are buying major, non-returnable kitchen appliances like this to take abroad, plug the thing in to make sure it works before you drag it on the plane!!! I brought my KitchenAid from Australia to Switzerland, and it works fine, just with a Swiss power adaptor. I think electricity is 240 v in Australia, compared to 230 v in Switzerland. I haven’t noticed any difference when using the KitchenAid now, though, I am a bit more wary just in case it heats up too much or something. Otherwise, I use it almost everyday and I can’t imagine life without it. To Tanya from Zurich – bit off topic, but I would recommend a Magimix food processor. Not sure what David uses though! Cuisinart doesn’t seem to be a big brand here in Europe. After the KitchenAid, the Magimix is my next favourite toy in the kitchen. Unfortunately, they are not widely available in Zurich. Tanya: Back in the states, I had both a Cuisinart and KitchenAid food processor (the KitchenAid one was, I believe, made by Magimix). At the time, I preferred the KitchenAid since the lid didn’t have a gazillion parts, like the Cuisinart did, but they’ve likely changed the design since then. I currently have a Braun Multiquick, which is an attachment for the hand blender, due to space considerations. The hand blender and mini-chopper parts works great, but the blade in the large food processor bowl is terribly dull and doesn’t work well. And thus David wins the Intarwebs — the two toughest things for US expats — what will work “over there” — and where do I find chocolate chips/molasses/brown sugar/etc etc etc. Your blog was my bible those first few months — without you, I never would have pulled off Thanksgiving dinner (with a whole turkey big enough for 10 of us, and all the fixins) — and lots and lots of references since. And you make me laugh, too — bonus. We live in the Bordeaux area and brought over our 20 yr old Kitchenaid, and it works fine. We also brought 2 5000w (yes, 5kw) transformers, and are in the process of adding a 110 network to the house to be powered by one of the transformers, so we don’t have to run extension cords all over the place. The transformers cost less than $100 each, on line, with only about $25 shipping, and we never load them anywhere near their rating. I believe that the Kitchenaid runs a bit slower than it would in the US, because of the frequency issue, but we do not use it continuously. I am an engineer, and although the frequency issue is real, it is really only a problem for motors that run quite a lot, such a refrigerators or air conditioners. Occasional motor-driven devices will not really see the frequency-induced heat effect degrade their operational lifetimes unless they were designed to operate really close to their limits, and I don’t think consumer devices really work that way. One last comment. I noticed some people asking about using “converters” vs transformers. You can only use 110v resistance applicances, such as curling irons, with converters. You cannot even use converters to run 110v toaster ovens on 220v. We know that from experience – there is “something” inside toaster ovens that does not like half-wave 220v power. If you have electronics than need 110v, or items that have motors, you MUST use a transformer. You will know it is a transformer because it is HEAVY, because it has a big iron doughnut in the middle. The heavier the transformer, the more power it can handle. Oh, and the plug adapters do just that – allow you to plug your appliances from home into the foreign system. They do not prove any voltage/frequency conversion whatsoever. Good for dual-voltage electronics, like computers, but not for voltage/frequency sensitive stuff. Finally, thanks much to David for this blog. We hope to sample some of his favorite places when we get up to Paris. And the recipes are GREAT! When I moved to China in 1996 I brought my KitchenAid from the states. The machine at that time was about 8 – 10 years old. I used a transformer to plug it into when I used it. When we moved back to the states in 2001, I brought my machine back with me. I had it taken to a Kitchen Aid repair to have it looked at as the safety lock had broken that keeps the head locked in place when mixing heavy doughs. I had the machine cleaned and the motor was looked at as well. The repair place said the motor was strong and there were no problems they fixed the safety lock. I am living in China again since 2004 and I have brought that same KitchenAid mixer back with me. It is still going strong and is plugged into a transformer every time I use it, which is often. The machine is well over 20 years old since it was one of the first appliances I bought when we got married in the mid 1980’s. I plan on taking it back with me whenever I finally go back to the states to live. I also have a brand spanking new machine that I have bought and is being stored for my return as well. So I can mix with a new machine and an old machine! Mixing in stereo…. I also have all of my KitchenAid attachments which I could not be without! I truly made the best decision when we came overseas all those years ago to bring the machine with me. I, too, live in China and left my KitchenAid in the US. I miss it so much, this post is inspiring me to bring it back with us this summer. Hi! I just wanted to tell you how much I like how you respond to comments. You always follow up with answers and even more helpful information, which I really appreciate. It also seems that almost every post, there’s always a negative remark (the fingernails of the lady who made the crust, the crack baguette, the “being commercial”, etc) and it’s great how you always respond. You explain, clarify, and defend your side with such class while still being respectful. Never a touch of anger, you’re great at keeping the peace. So keep up the good work, it’s inspiring to see how you interact with your readers! I learn a lot from the posts you write, but I learn even more when I read the comments. Hi Cathy: Thanks for your comments. When I started the site, back in 1999, it was meant to be an adjunct to my books, and to answer baking questions and problems. I’m happy to do so, but I also like when other folks chime in when I can’t, such as in this post, since I don’t have much experience with transformers and the like. Plus since I know some folks at KitchenAid and they were kind enough to provide some answers, I’m fine to act as a conduit since I think the information is interesting and beneficial to readers. Most people delete negative comments. I don’t mind constructive criticism and dissenting opinions, and will respond as I see appropriate. I believe that yelling and pointing fingers doesn’t benefit anyone (look at the state of cable “news” in America), and am much more interested in being engaged in meaningful dialogue than just taking potshots at each other. hi! I live in Manila, Philippines and yes we have 220V electrical outlets. In my experience you can indeed use 110V appliances in 220V outlet however you need to use a TRANSFORMER. Not just any transformer though, check what is the wattage of the 110V appliance that you will use, which you normally can see at the bottom or back of the machine near the label where it says 110V. when you see the wattage of the machine, buy a transformer with HIGHER wattage than what is indicated in the machine so as to avoid destroying our beloved appliances. If you guys buy change visited Philippines, you can buy 220V KitchenAid mixers readily available here. Though I’m not sure if it’s much cheaper compare to what you can get in Europe. I’ve been using kitchen aid back home in the philippines for the past seven years. My grandmother got me this kitchen aid from the United States and the same voltage problem since in philippines we have 220v. I have this old transformer which I use for the kitchen aid and it works quite well. Haven’t had a problem ever since. Another alternate my father did was he had an electrician change some of the outlets to have 110v so you can always have an option of having 220v and 110 appliances at home. I sold all my appliances before I moved to Italy. 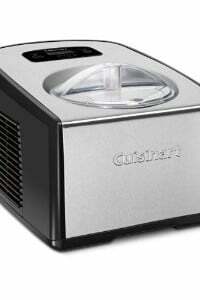 I miss my Cuisinart mini prep and my ice cream maker. I wonder if Cuisinart products are sold here. I’m starting to see more and more KitchenAid mixers here. So as soon as I have zee euros, I’m going to get one. Arlene: Many Cuisinart products are sold here. But unfortunately, not all. For some reason, my ICE-50 ice cream maker is available in England, where I had it shipped from, but not in France. Ebay is actually a good place to look for appliances as dealers who are in neighboring countries often sell things at very good prices. Of course, only deal with merchants that are reputable. But I’ve gotten certain items from people in Germany that were shipped to France, that either weren’t available here, or that were considerably less-expensive. Your Mixer or any other appliance will work in Europe if you purchase a converter. The trick is to get an appropriate converter, which you can either get in a specialty shop here (there used to be one on Mission – the appliance shop near LuLu may have them) or in Europe. It should be appropriate for the Amps used by the machine. We found that the Kenwood was fairly affordable in Switzerland (fairly is relative) and better than at least the table model of the Kitchenaid. Considering the cost of transport, you might look around for a local make. Take the TGV and check out the IGEHO in Basel in October (I think) for industry discounts. Basel is cool. I will be there, but not at the IGEHO. I just wanted to add that my brother brought me a European model KitchenAid mixer from the US as a present. He contacted KitchenAid directly and was able to buy the export model from them at a significant discount compared to buying it in France (no TVA, customs or store markup). Of course this depends on not being checked by customs. But I (and my guests) have never been checked in over 5 years of doing this…. I lived on US military bases in Germany as a kid. We had huge cinder block sized transformers in every room that we plugged our US electronics into (it was the 70’s). They ran fine for over 2 years with no problems to include mixers, stereo’s, TV’s etc. My guess is Kitchen Aid is taking the better safe than sorry approach – i.e. you can’t blame us if it blows up. If you have a good quality voltage transformer I can’t see why there would be an issue. I don’t know why people worry about voiding the warranty. Their mixers only come with a ONE YEAR warranty. It’s not really much, and probably has run out already for people considering taking their mixer with them. KitchenAid’s policy seems to be that they will suggest you spend more money to buy a new mixer whenever they possibly can. They warn that using the spiral dough hook on a mixer that didn’t come with one, but if you look online, I have yet to find any posts about people who have had these supposed issues – only the opposite. 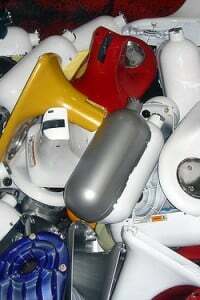 And a lot of mention of the downfall of KitchenAid quality in general. For those of you who have had your mixers for 20+ years – don’t get a new one! I don’t know why, but I laughed all through this post. I guess the headline of “Man burns down building while making ice cream” kept flashing through my head. I lived in Holland for 6 years, so my then 1 year old Kitchen Aid was left in storage. I too had spoken with the folks at KitchenAid and other kitchen electronics companies. I took an older and cheaper multi component kitchen center with the approved transformer. After 4 years the kitchen center crashed. A friend had the same model but made for Europe standards and since she was moving home I was in luck. I’m glad I left my nice KitchenAid in storage since another friend burned through 2 of them during her 5 year stay. People forget the energy conversion is 2 parts, cycles (Hz or frequency) do matter and are not fixed by a transformer. I had the same question when I moved to The Netherlands. I’ve been living here now for over 5 years with my U.S. bought Kitchenaid mixer, food processor and blender, and they all work perfectly. I use them all frequently with a step-down voltage regulator. The mixer is used every summer with the ice cream attachment, and the blender is mostly used for margaritas and smoothies. I was told by Kitchenaid exactly what you’ve stated, but decided to ignore their advice and see for myself what would happen. For me, the answer was nothing; they just did what they were built to do. If mine should break down, I think I would probably buy a cheap replacement (Kitchenaid, of course) on Amazon and have it shipped over by a friend. ok I am going to ask a stupid question because I’ve done a stupid thing…I’ve cut off the US plug and rewired it to UK plug…I know I should not have done this?! what can I do now? The KitchenAid is working but seems to be much faster….please help?! Tu: As advised, I would contact one of the KitchenAid advisors in Europe (listed at the end of the post) and ask them what to do. In the meantime, you might not want to use your mixer until you can determine if what you’ve done is safe for your mixer, and for you. Tu, it’s running faster because it’s on 220 volt versus 110 volt. If you keep using it as it, it’ll damage it and could potentially catch fire. As David advised, contact KitchenAid — you’ll definitely need a step down transformer. You should not directly plug a 110 volt appliance to a 220 volt power source. Tu, You should not use your mixer like this. It will break or worse. By changing the plugs you are doing the same as using only a converter. You need to change the voltage going to your machine and as covered in prior posts you will need to use a transformer. You can get one on ebay but will have trouble plugging your mixer into the transformer since it no longer has a US plug. Purchase a yellow box transformer on ebay.co.uk. (search for 110v transformer and make sure it has a weird three pin round socket…not the american type socket and is yellow plastic) You will need a lower end one with only one outgoing socket … I don’t have a mixer but a transformer over 800w or so should be ok as per a previous post. They are bright yellow plastic and designed for UK construction sites. Get a three pin outdoor plug from your hardware store. This is not the regular UK plug…its the kind used on campsites and the pins are round and different sizes. You can put this plug on the mixer cable you cut and this will plug directly into the transformer. voila … fixed. Turn off the transformer when not in use as it draws some electricity even when your mixer isn’t running. I have done this to a US extension cord so I can plug in any US appliance to the extension (mainly my vacuum) and then into the transformer. Hope this helps. I live in Sweden and I’m very interested of buying a kitcken aid. Is there anyone who knows what states sell them in 220v or have any other great tips. Very late and slightly off topic, maybe. But: Does your Braun immersion blender handle very small quantities? We are looking for a blender that does because sometimes the mortar doesn’t work (e.g. if you want to purree just a little jambon). I looked at the Braun blenders today but their knives seem to sit a little high, like the one of our Moulinex that doesn’t do the trick. different. The rest of the part numbers for the “Motor and Control Parts” are the same. So, I don’t see any reason that the Artisan Tilt Head Mixer (5KSM150PS E/A) would not work on US and European (and Thailand) power without modification. I would like to hear from anybody that has a reason why this could possibility be wrong. 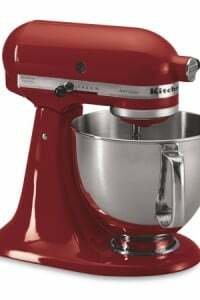 Hi, anybody knows whether is it possible to buy in the US a 220 voltage KitchenAid Artisan mixer? If so where?